Yellowstone Landscaping is your specialist for playground installations and construction of public reserves and open spaces. 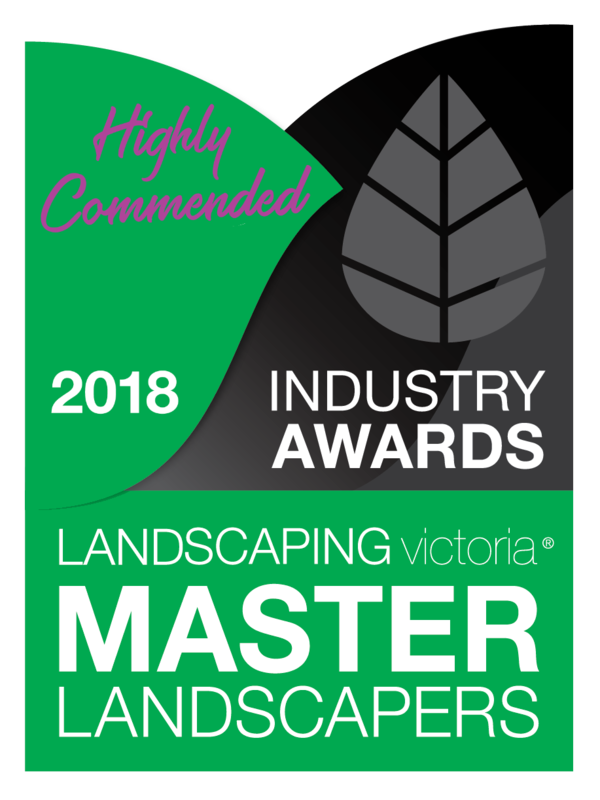 Working closely with landscape design architects within a large number of city councils all across Melbourne, we have built a reputation of being a leader in customer service and landscape construction. 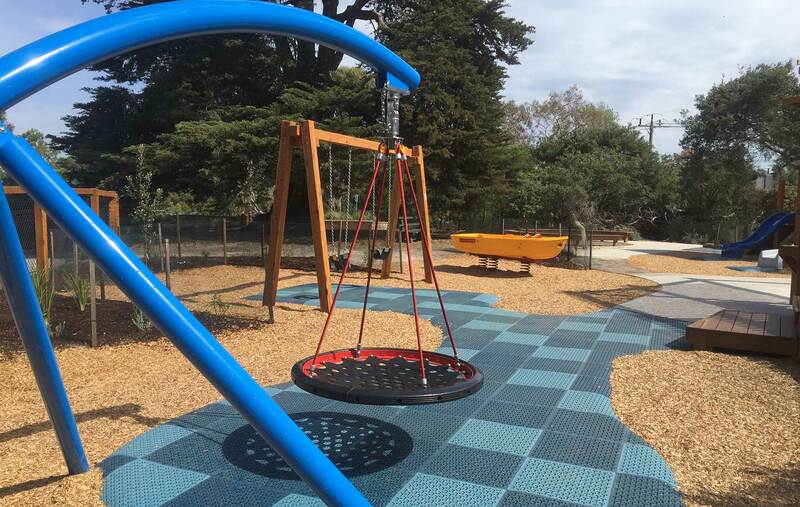 We have recently helped a large variety of city councils such as: Banyule, Boroondara, Casey, Frankston, Hume, Knox, Monash, Port Phillip and Whitehorse to make their vision of a playground become a reality. Providing a haven for children to have endless hours of enjoyment means safety is always our main priority when completing our playground projects. 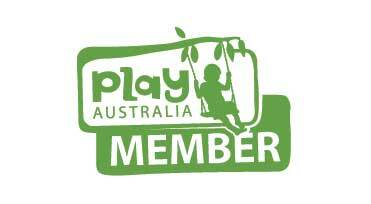 Being a ‘Play Australia’ member ensures we are constantly trained with the most current specifications to meet Australian Standards. 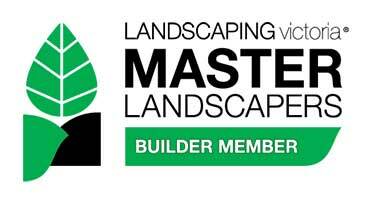 Our long term membership with Landscaping Victoria as a ‘Master Landscaper- Builder Member’ is an industry partnership. Supporting and maintaining industry standards to our business is vital to our success. Yellowstone’s other specialty we pride ourselves on is the relationships we’ve built with our commercial contracted clients across Melbourne. 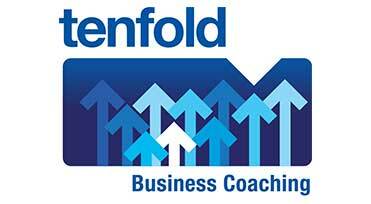 We service selected clients in the Aged Care and retail industries. 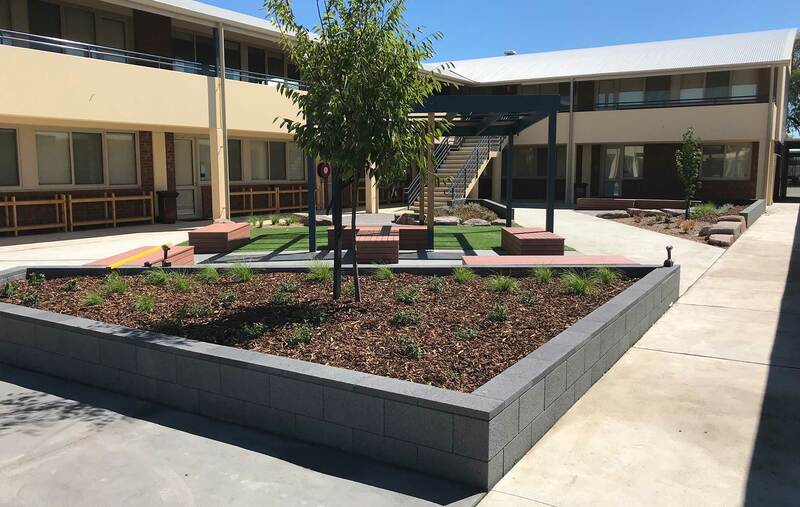 We provide clients with an ongoing service and familiar faces while maintaining all aspects of gardening within the grounds of retirement villages or aged care facility and large retailers. In the aged care sector, building rapport with our clients and their residences is paramount. Providing a friendly greeting while pruning the roses, trimming the hedges or mowing the lawn brings small comfort to your residents as they go about their day. Creating exciting and interesting play spaces for all children to enjoy brings great satisfaction to our team. Seeing the replacement of a playground or building one from scratch takes excellent communication between the client, our staff and our suppliers. From start to finish, our client’s vision is discussed, planned and executed by the Yellowstone Team. The end result creating a safe, quality built and installed play space for kids to let their imagination evolve in a carefree play environment. 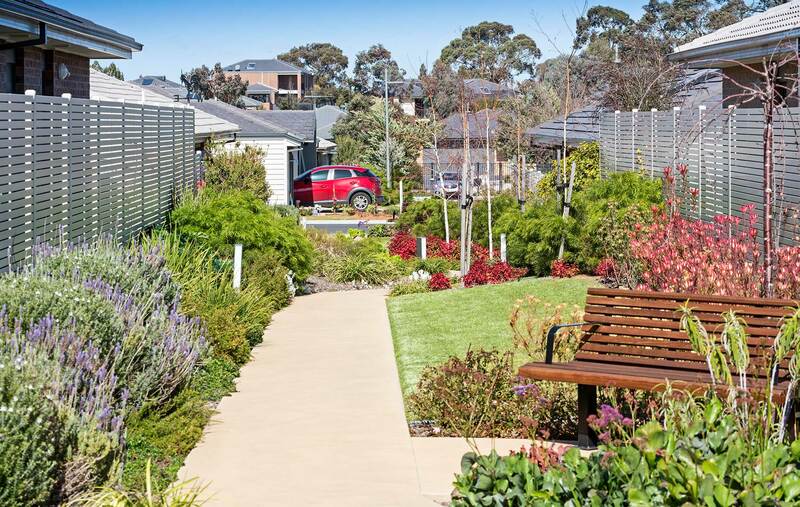 Our garden maintenance team takes great pride in the ongoing service provided to our aged care facilities. Having many long-term contracts across Melbourne will ensure your residents feel comfortable knowing the Yellowstone gardeners are regularly tending to their ‘home environment’. Friendly greetings or maybe a brief chat to your residents continues the communication link we pride ourselves on. 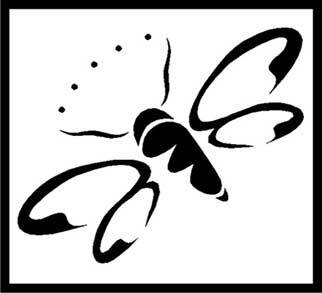 Your grounds will be maintained with qualified staff with horticulture qualifications on a regular schedule that meets your needs. 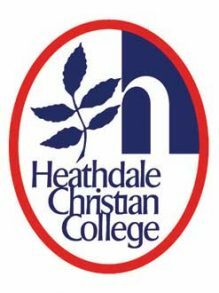 Childcare Centres, preschools, primary or secondary schools are all areas where we get to use a variety of our skills. Whether it’s creating a new sandpit, bike track, installing exciting new play equipment or building an inviting court yard/centre space where children of all ages can gather together and interact is very important to us. Yellowstone Landscaping takes great pride in supporting the community. We have partnered up on several occasions with Laser Plumbing to provide a ‘Backyard Blitz’ make over to families dealing with personal hardship. Doug and the team have donated their time and services enjoying the community spirit in providing joy to families who need it most. 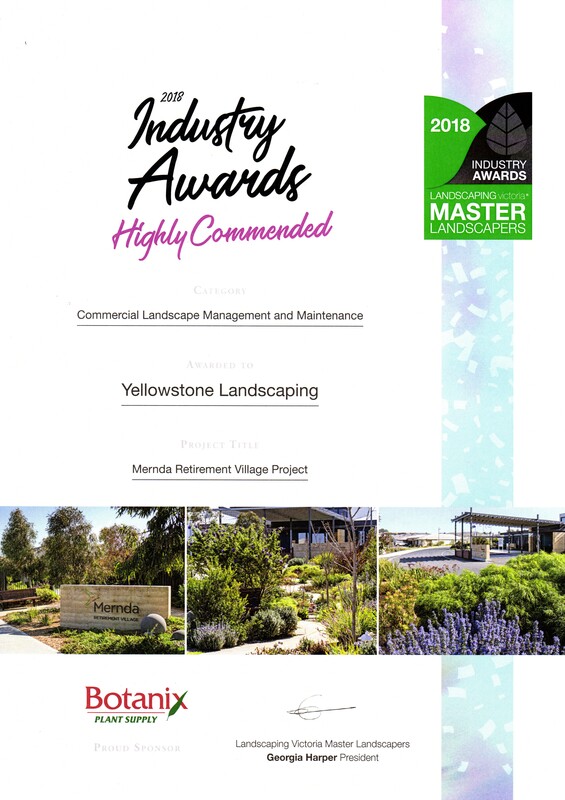 Yellowstone Landscaping received a Highly Commended Award for our entry in the ‘Commercial Maintenance and Management’ section for the Landscaping Victoria Master Landscapers Industry Awards 2018. We are extremely proud of our Grounds Maintenance team to receive this award and be recognized within the industry. Congratulations and keep up the great work!